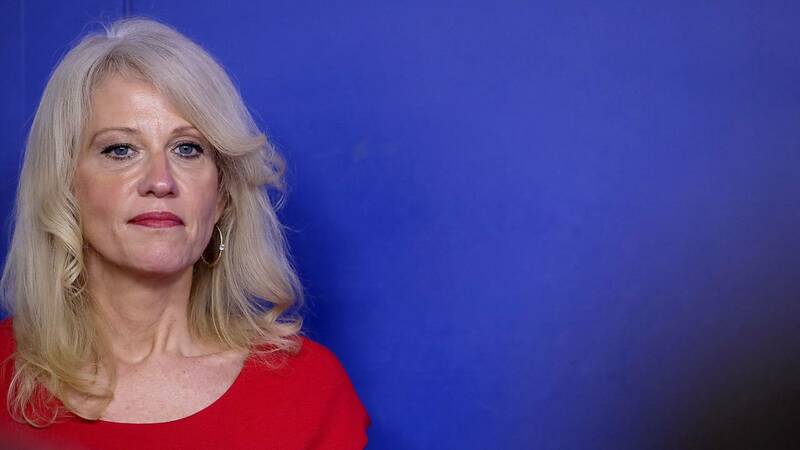 (CNN) - White House counselor Kellyanne Conway on Sunday defended President Donald Trump's border security rhetoric -- including the assertion that "any deaths of children" at the border are "strictly the fault of the Democrats" -- after a second migrant child died in US custody earlier this month. "We're allowing these people to take their children on a perilous journey without correcting the falsities," she told CNN's Dana Bash on "State of the Union." "They're being promised something that people can simply not deliver upon." "Any death of a child, any death of anyone is an utter tragedy," she added. "I think the President's point is an important one, which is that he has stayed in Washington to negotiate border security and to get funding for DHS and ICE and CBP and, of course, enhanced border security, which Democrats, until he took over as president, were all in favor of." Amidst the government shutdown over border security funding, Trump took to Twitter Saturday to accuse Democrats as being culpable in the death of two migrant children who have died in US custody. "Any deaths of children or others at the Border are strictly the fault of the Democrats and their pathetic immigration policies that allow people to make the long trek thinking they can enter our country illegally. They can't. If we had a Wall, they wouldn't even try!" he said. Conway also signaled Sunday the President may veto potential spending bills from Congress to reopen the government but added he's "ready to negotiate" and "wants to make a deal on border security." "And negotiation by definition has to include both sides," Conway said. "He's in the -- he's in the White House. He's in Washington ready to negotiate." Before the government officially shut down earlier this month, Trump said during a meeting with Pelosi and Senate Minority Leader Chuck Schumer that he'd be "proud the shut down the government for border security."